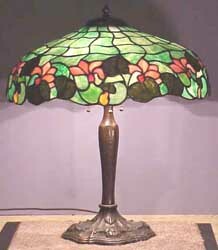 The early 20th century was a kind of golden era for the design and manufacture of very fine quality glass lamps and lighting for the home, with top designers Tiffany Studios, Handel, Pairpoint, Galle, Daum, Chicago Mosaic, Bradley & Hubbard, and of course Duffner & Kimberly Company of New York. All of these manufacturers evidenced a level craftsmanship and design as well as the use of the finest glass and bronze that's very difficult to find today. The company began with the partnership of Frank Duffner who managed a factory making kerosene lamps and talented stained glass window designer Oliver Kimberly. 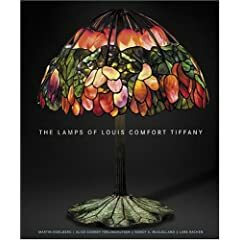 Duffner & Kimberly saw the lamps of Tiffany Studios as their direct competitor, and the combination of D & K designer Howard Howell and the craftsmanship of their work force were indeed seen as a rival by distributors who carried both such as the Marshall Field Company of Chicago. Their sales catalogue of 1906 cited a company mission to offer lighting fixtures in the purest period styles for the finest residences." Duffner and Kimberly did not have the design flair and innovation of Tiffany, however, and concentrated their design and production on "period" look lamps such as the Louis XIII, XIV, XV, and XVI styles, a Roman style, and many different styles of floral lamps meant to capture nature the way Louis Comfort Tiffany's were during this same time period. 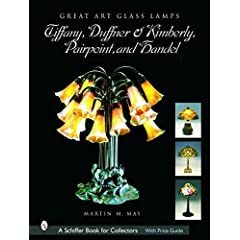 While certainly beautiful and very popular with collectors, few would feel today that Duffner & Kimberly had truly replicated the innovation of Tiffany. Nevertheless, their lamps were very well made and used the highest quality materials in their construction. 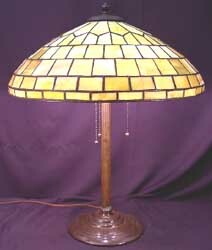 As such, Duffner & Kimberly lamps commanded high prices from their original introduction to the market in 1905. Expensive lamps were a suitable extravagance in good economic times, but most makers of luxury items suffered during the recession of 1908-1909. After struggling to maintain production and profits, the company finally ceased production in 1913 when they declared bankruptcy. The fact that the company existed for only 8 years means that their overall production was quite small relative to many of their contemporaries, a fact which contributes along with their beauty to the sustained and rising prices for Duffner & Kimberly lamps and lighting. 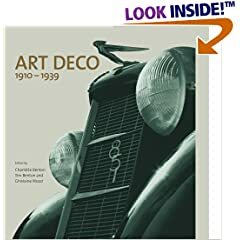 Buy Duffner & Kimberly, Tiffany Studios, Bradley & Hubbard, Handel, Pairpoint, and Frankart lamps & lighting on the Collectics Lamps and Fine Antiques pages, or search the entire site for great antiques, collectibles, and crafts for every collector!